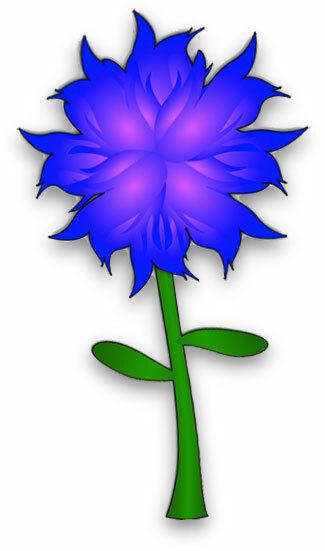 Flower clipart for non-profit educational and personal websites. This section includes a variety of flower graphics and animations such as roses, amarilis, apple blossoms, lilies, blue bells, gerbera, bird of paradise and more. Yellow flower dancing to its own beat. Flowers in a basket with butterflies. Apricot with pink, violet and white petals. A different kind of flower. Bluebonnet flowers on stem with leaves. Amarilis with red, yellow and white flowers. Small Bell flower purple with green leaves. Bird of Paradise on white background. 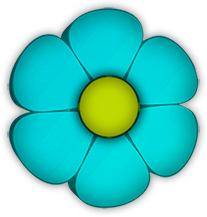 Blue and yellow flower PNG with transparent background.